Life gets hectic, and sometimes it’s hard to keep track of things. Schoolwork, doctor’s appointments, birthday parties….LIFE! It can be hard to keep it all together, and trying can really make you feel overwhelmed and frustrated. Stress is no fun for anyone! Not only does a homeschool mom need a good way to keep track of assignments, appointments, and other scheduled needs, but she also wants to easily see her goals, track attendance, and see a week at a glance. The Hey Mama! 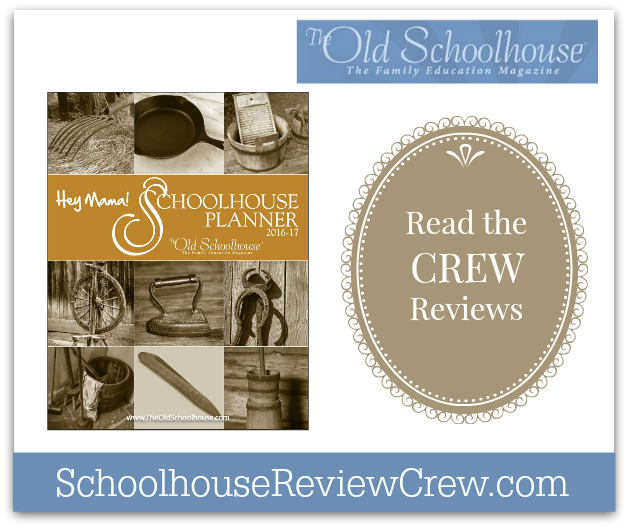 Print Schoolhouse Planner 2016-2017, brought to you by The Old Schoolhouse, provides all of this, and more. This planner is designed to be a tool to help you succeed in your home educating adventures and be your right hand support. Hey Mama! Letters of encouragement for each month. Educational helps such as states and capitols, writing prompts, how to create academic transcripts, and more along with calendar pages designed for one or more students. 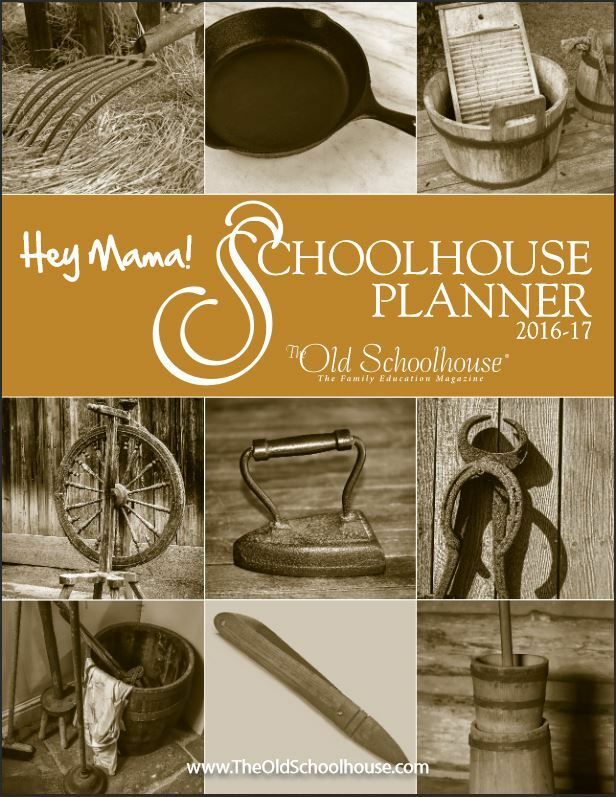 Be sure to check out the 2016 Hey Mama 2016 Planner Sampler and keep your life and homeschool organized! Purchase your Hey Mama! 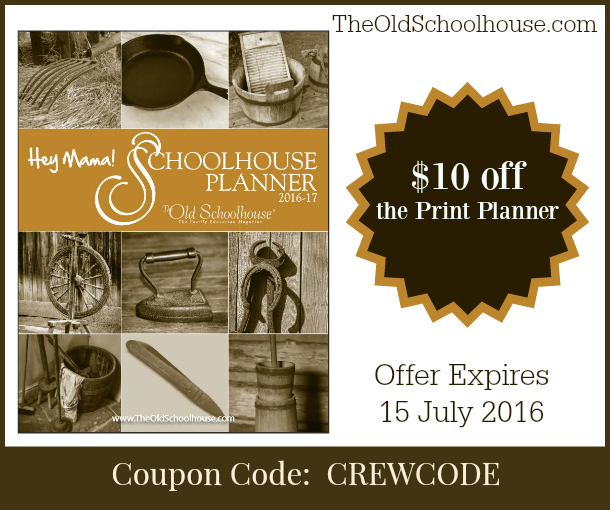 PRINT Planner for $19 until 15 July 2016 using coupon code: CREWCODE. A big thank you to Missica of Through the Open Window for writing this introductory post.